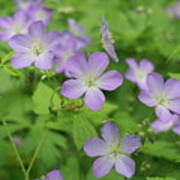 There are no comments for Geraniums Spring Wildflowers. Click here to post the first comment. 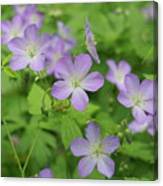 These delicate light purple flowers are a pleasant sight along the edges of wooded areas in Michigan. Wild Geranium common names include alumroot, Sailor Knot,Crow Foot, Chocolate Flower, Cranesbill, Old Maids Night Cap, Rockweed and Shameface. It is a perennial wildflower that grows to about two feet tall. 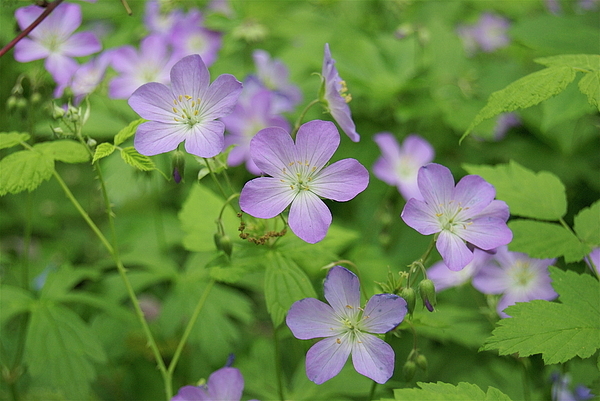 The preferred habitat is deciduous woodlands, and meadows with dry shady areas. The seed capsule when formed begins to dry and split the seeds are then propelled up to thirty feet from the plant. These bloom here in Southeast Michigan in May and June.